L: 3.5", W: 2.5", H: 3.5". 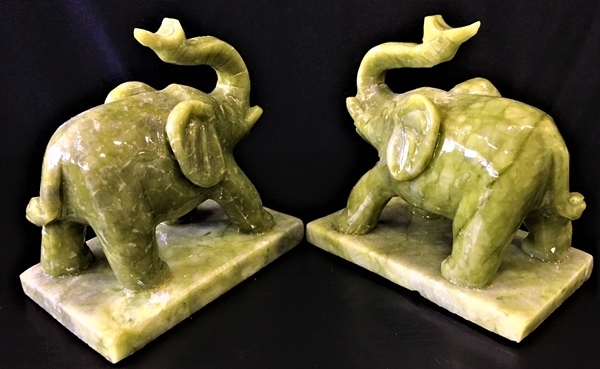 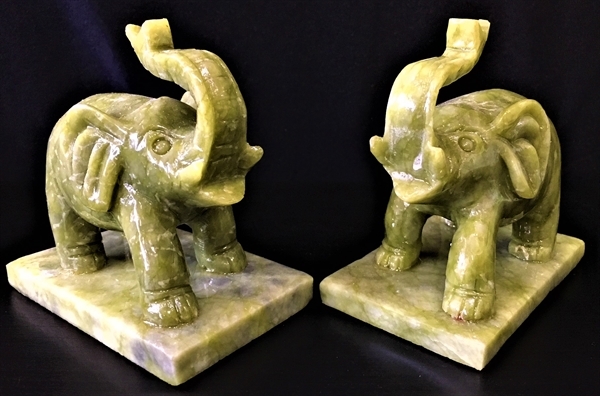 This pair of elephants are made of real jade. 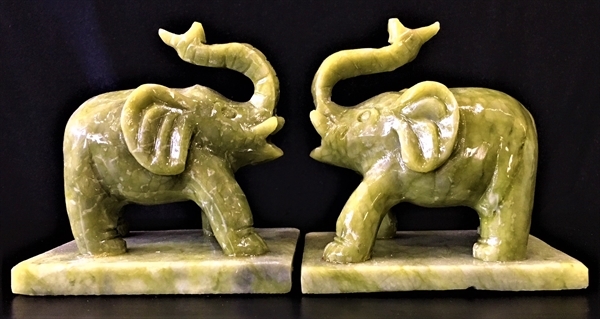 It comes with jade bases.